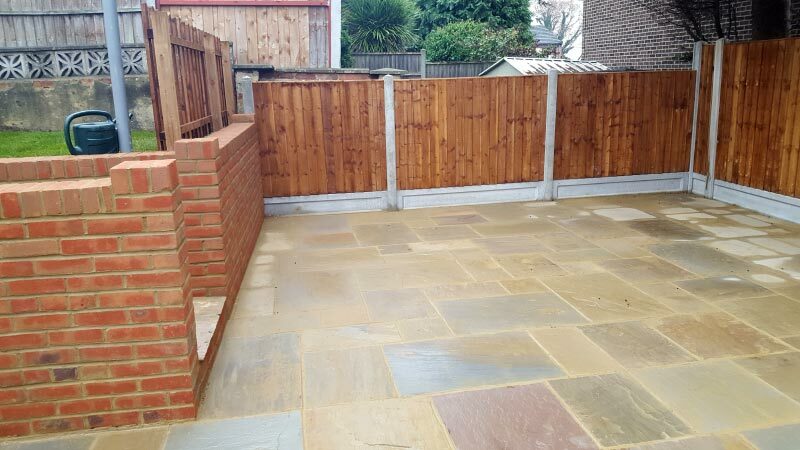 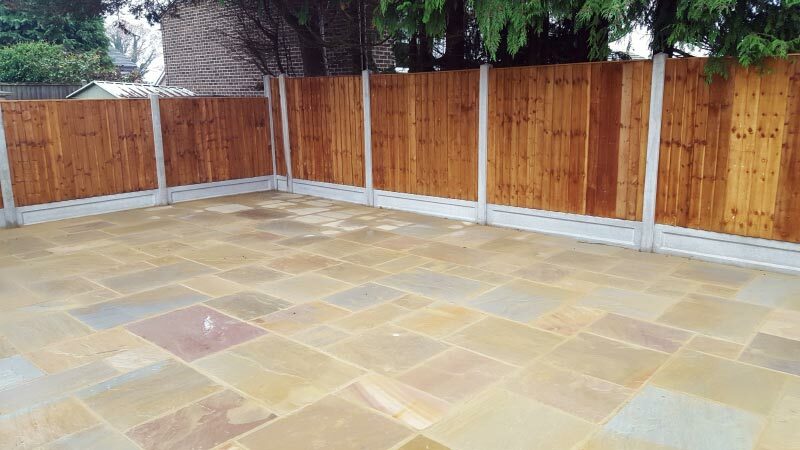 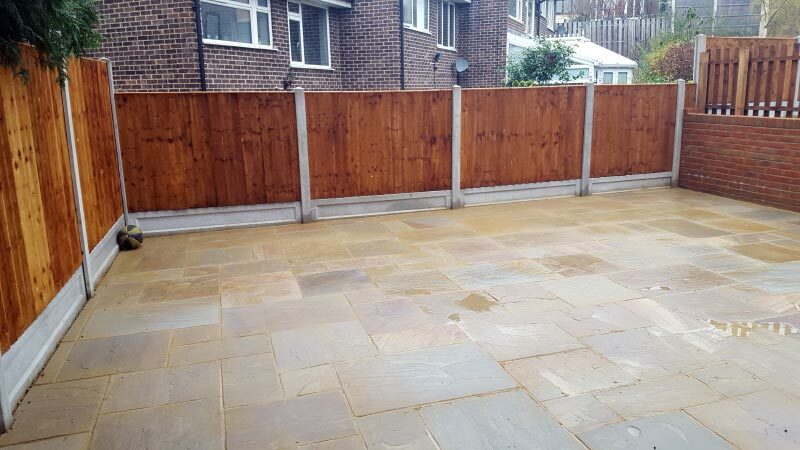 Laying patios is one of our specialities so we were more than happy to take on this next project. 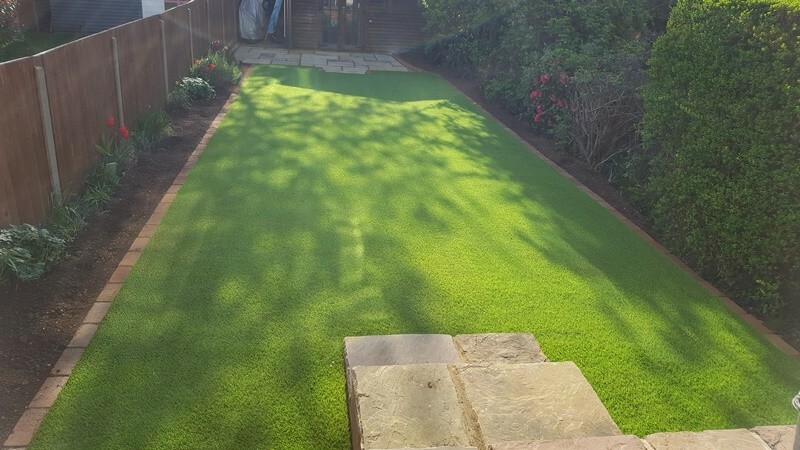 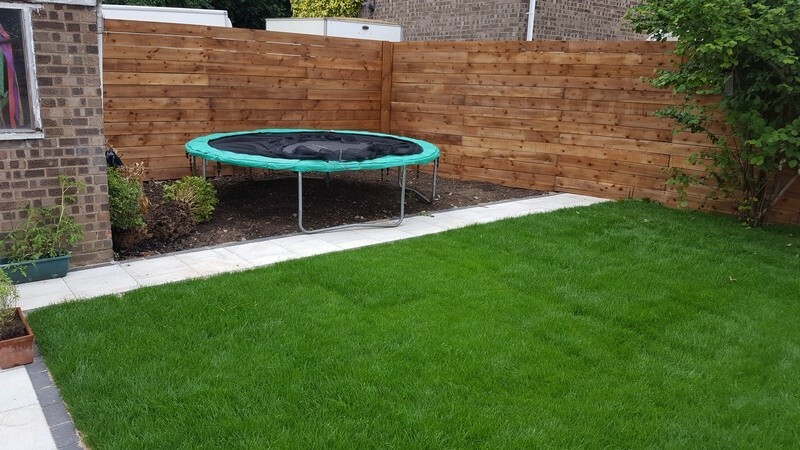 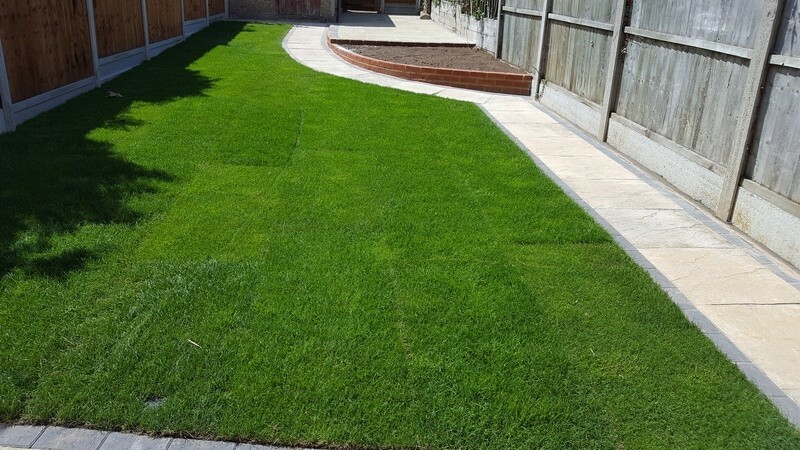 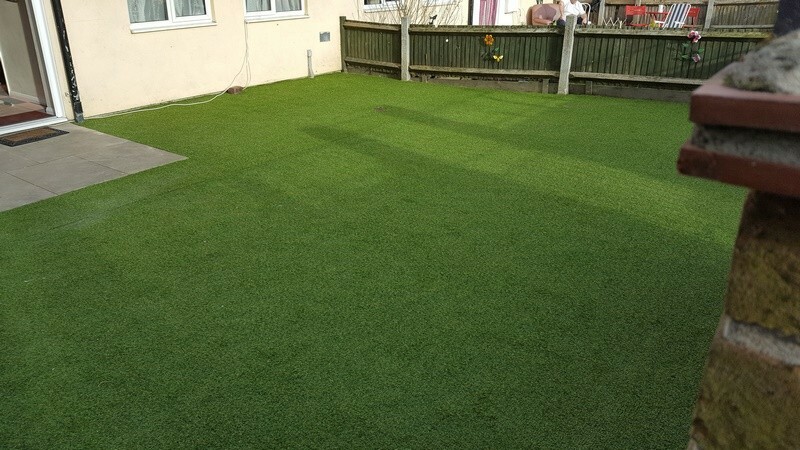 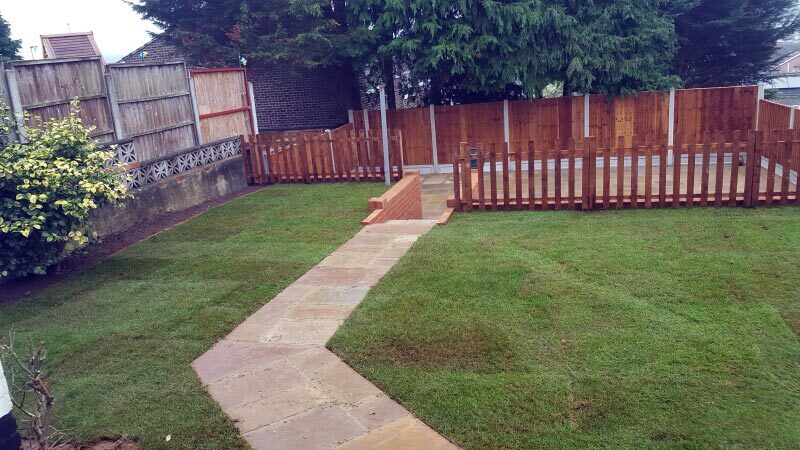 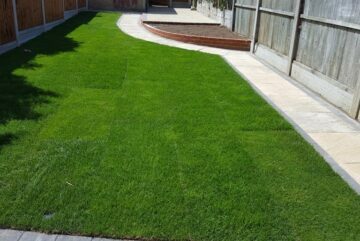 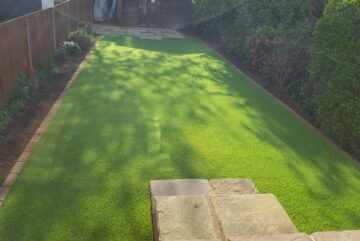 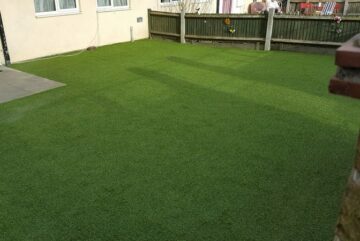 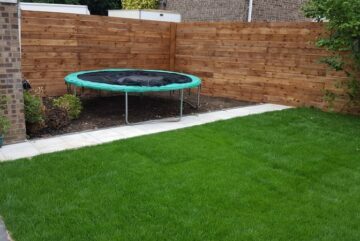 We were asked to redesign this garden so it had a new patio area, new turf along with new fencing. 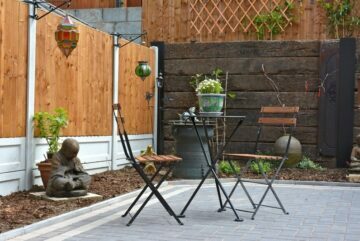 We started by digging up the garden and preparing it for the new patio to be laid. 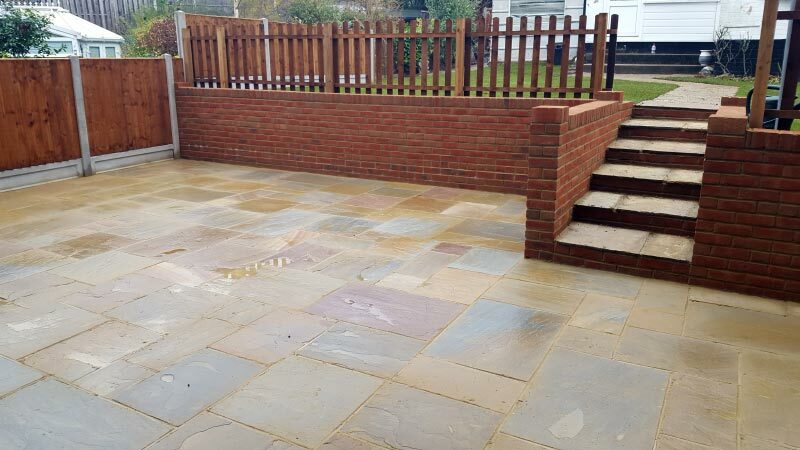 Once this was completed, we laid a matching footpath that lead from the house down to the new steps that we built. 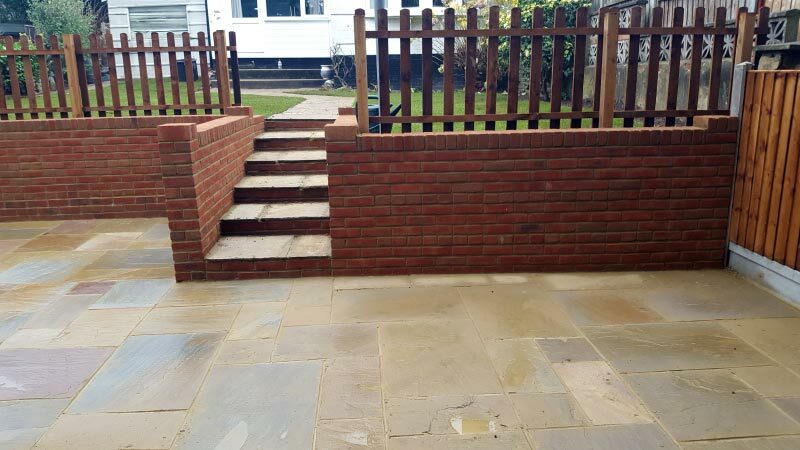 Due to the garden being on two levels, a brick wall was built. 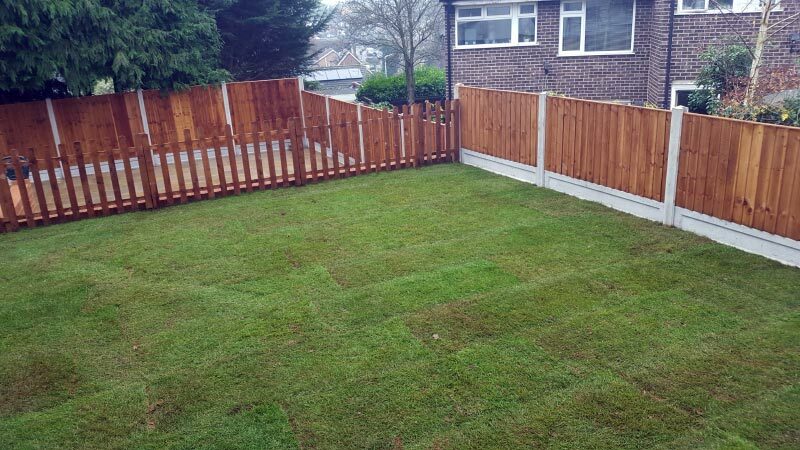 We also added a picket fence as there was a slight drop to the patio area ensuring that no one could fall from the grassed area.